Philippine history is a box full of mysteries. Just when you thought historians had it all figured out, you come across stories that aren’t frequently discussed in history books. Heck, some of them are too surprising that you start thinking maybe you were asleep or daydreaming when they were first taught in your school. 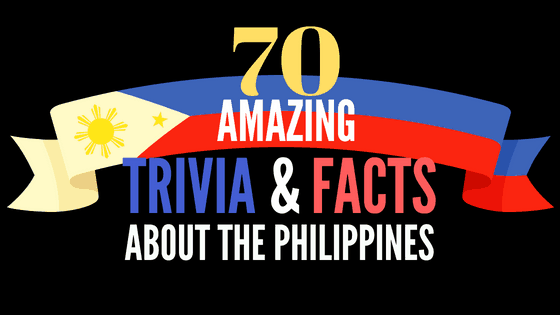 In this third installment of the ultimate trivia list, we’ll look back at some of the lesser-known and fascinating trivia about Philippine history. 41. The Philippines almost became a colony of Germany. 42. A traitor for Americans, a hero for the Filipinos. 43. 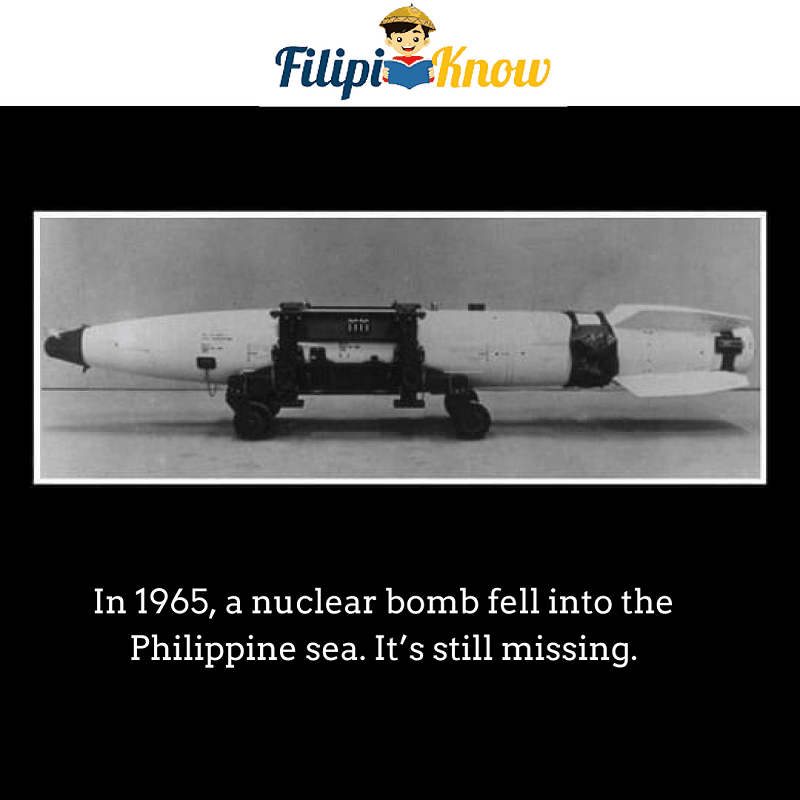 Nuclear bomb in the Philippine sea? 44. 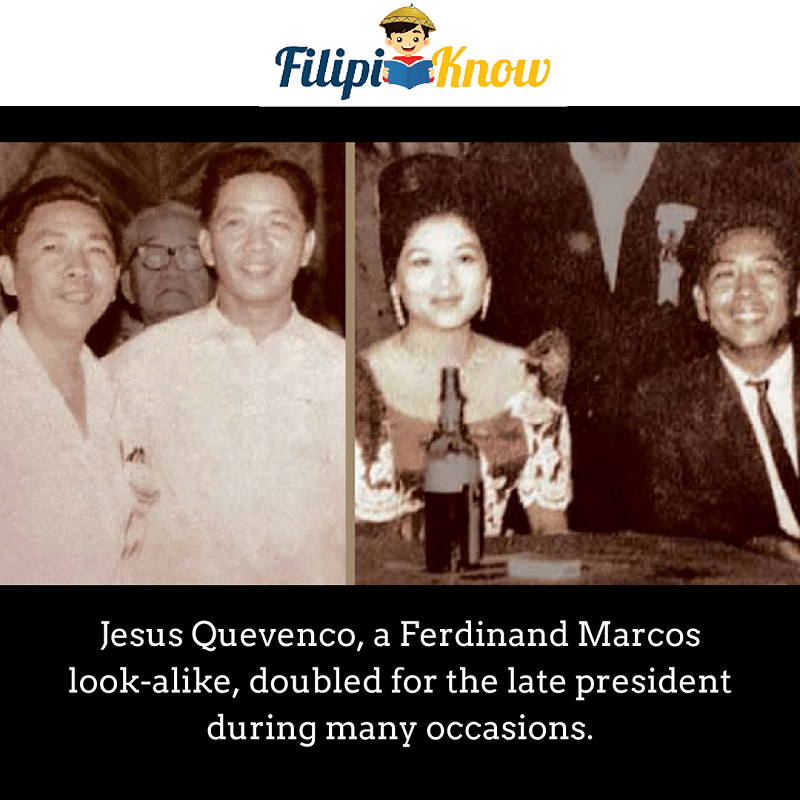 Ferdinand Marcos and his double. 45. Pampanga’s controversial kamikaze monument. 46. The University of Santo Tomas, the oldest university in Asia. 47. Who is Pedro Gil of LRT – Pedro Gil station? 48. 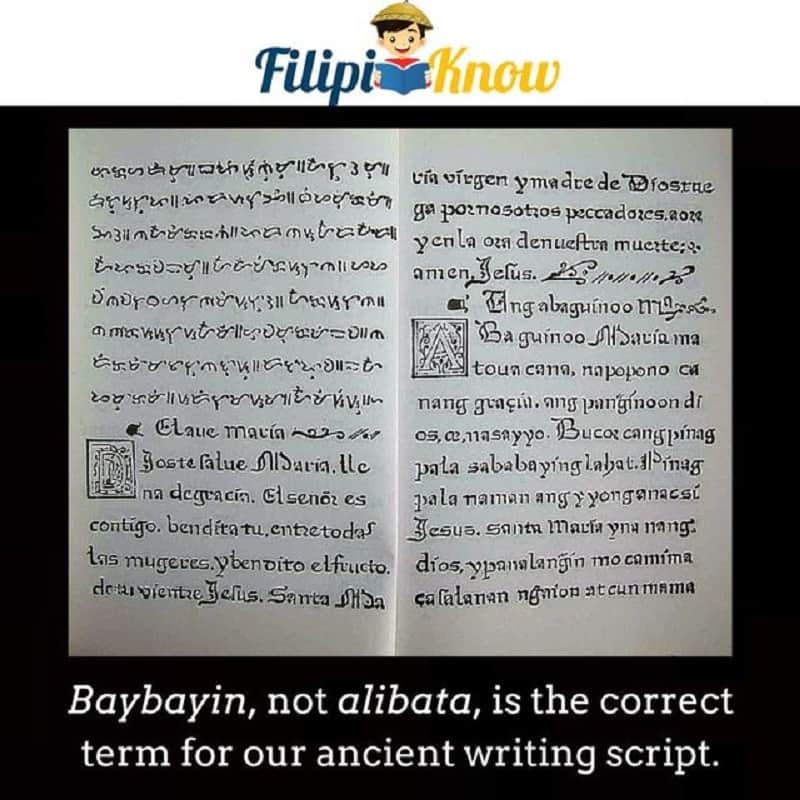 Baybayin app for modern Filipinos. 50. Whose silhouette is on the PBA logo? 52. 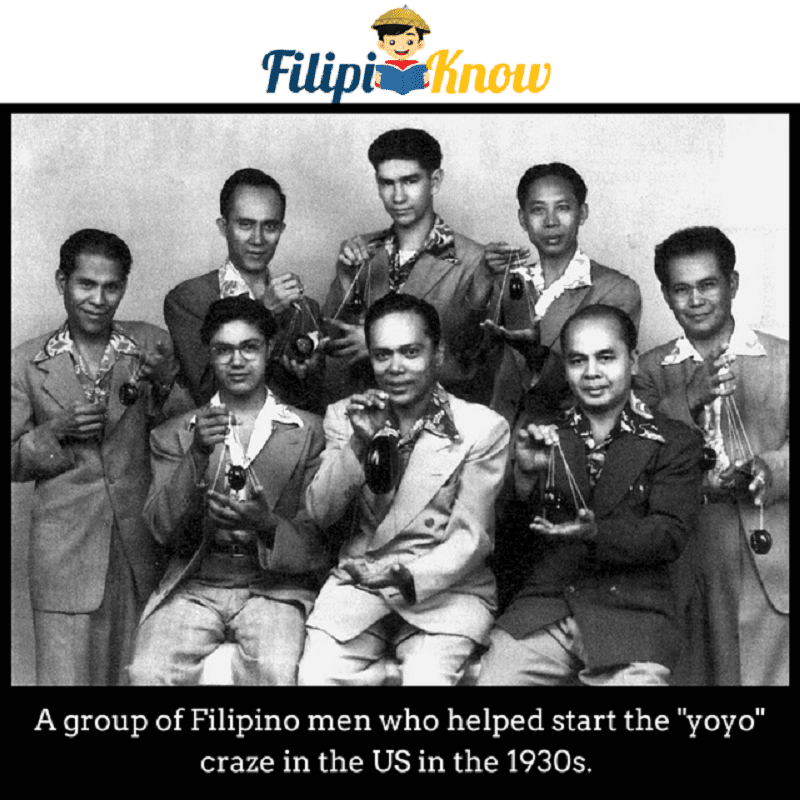 How “yoyo” reached the US with the help of Filipinos. 53. 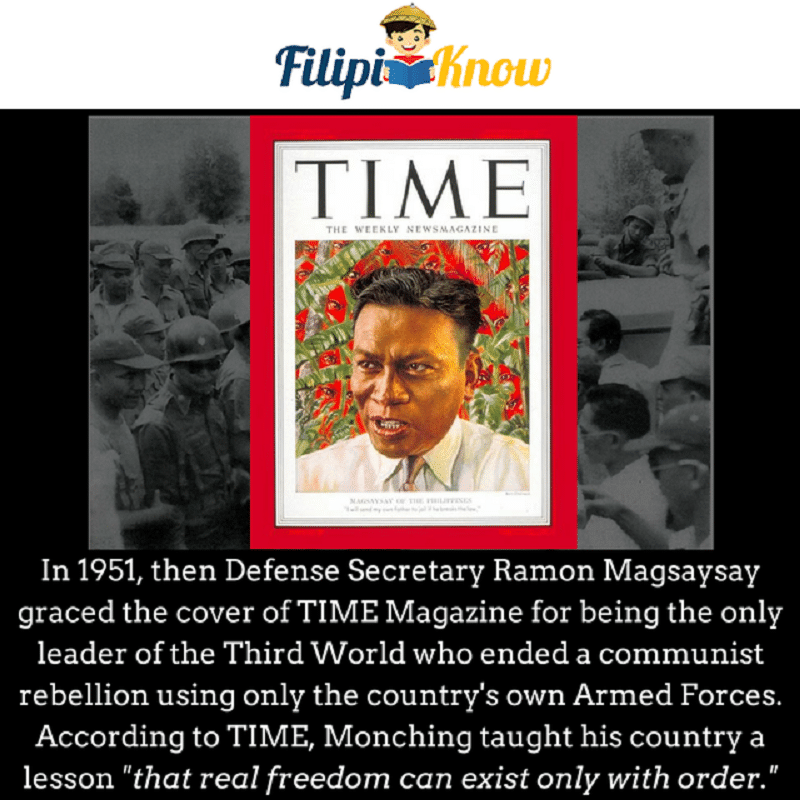 Magsaysay on the cover TIME Magazine. 54. 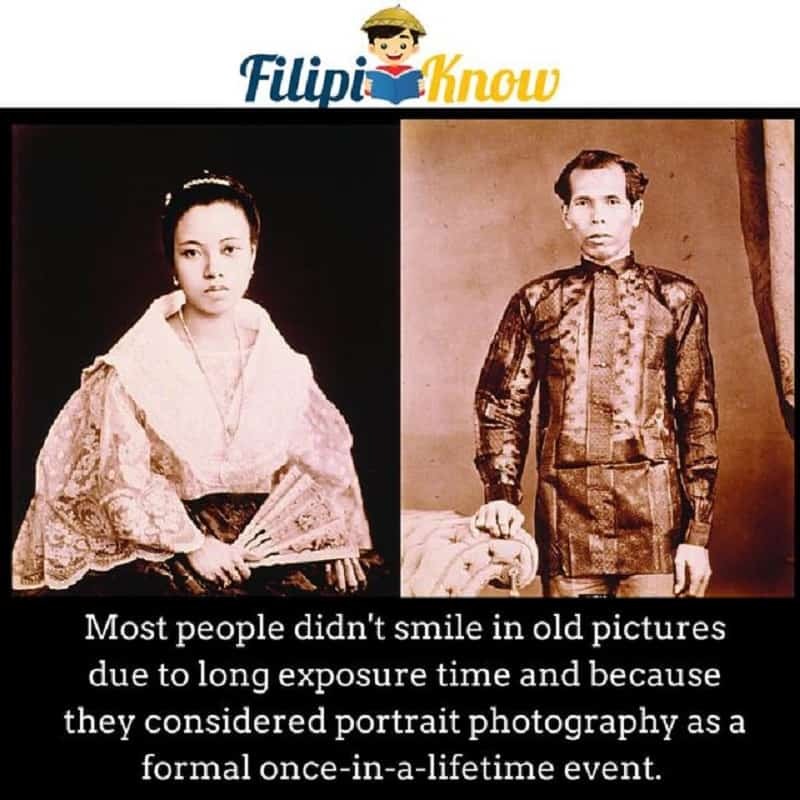 Why didn’t people smile in old photos? 55. The “Matanglawin” of Philippine Revolution. In a Manila Times article, historian Augusto de Viana reveals that the Philippines could have been a German colony if the second battle of Manila Bay took place. 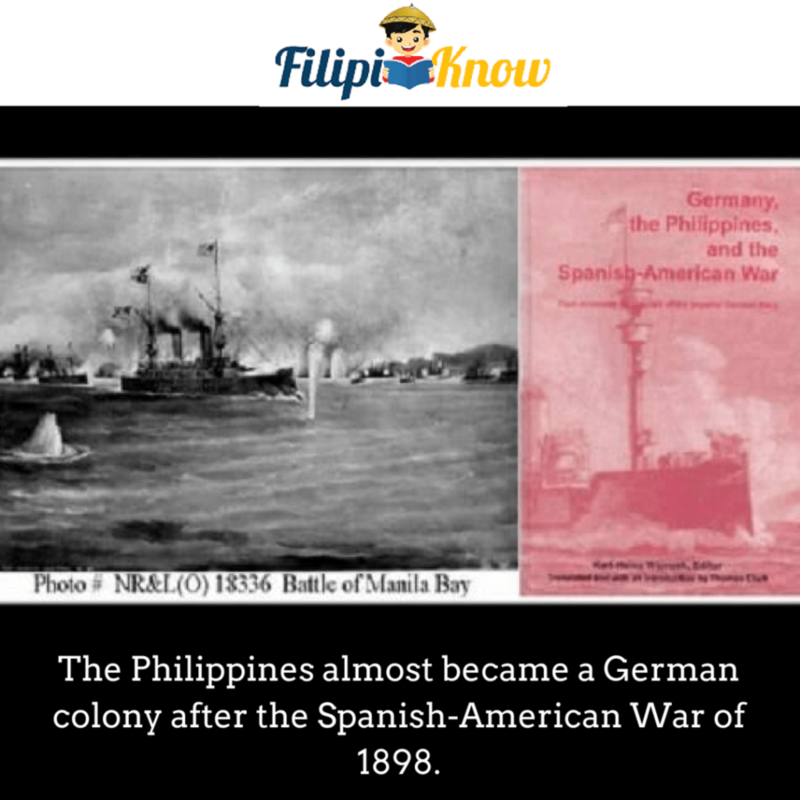 During the Spanish-American War in 1898, Kaiser Wilhelm sent the German squadron to Manila “to protect German interests and her citizens.” But unlike other countries who also sent their naval vessels to Manila, Germany had plans of taking over the Philippines in case the U.S. abandoned the islands. After Commodore George Dewey from the U.S. ordered a blockade of Manila, the Germans started supplying trapped Spaniards with flour and even treated some of the wounded soldiers aboard the German vessels. This incident infuriated the U.S. but it was when the Germans refused to let the Americans inspect their gunboat Cormoran that resulted into a heated confrontation. The conflict between Germany and the U.S. only ended when the British ship Immortalit’e chose to join Dewey’s flagship Olympia. The combined forces outnumbered the Germans, forcing them to stop their provocations. Later, the McKinley administration formalized their control over the Philippines through the Treaty of Paris which refused to recognize Aguinaldo’s declaration of Independence and permanently ended Germany’s aspiration of making our country one of its colonies. 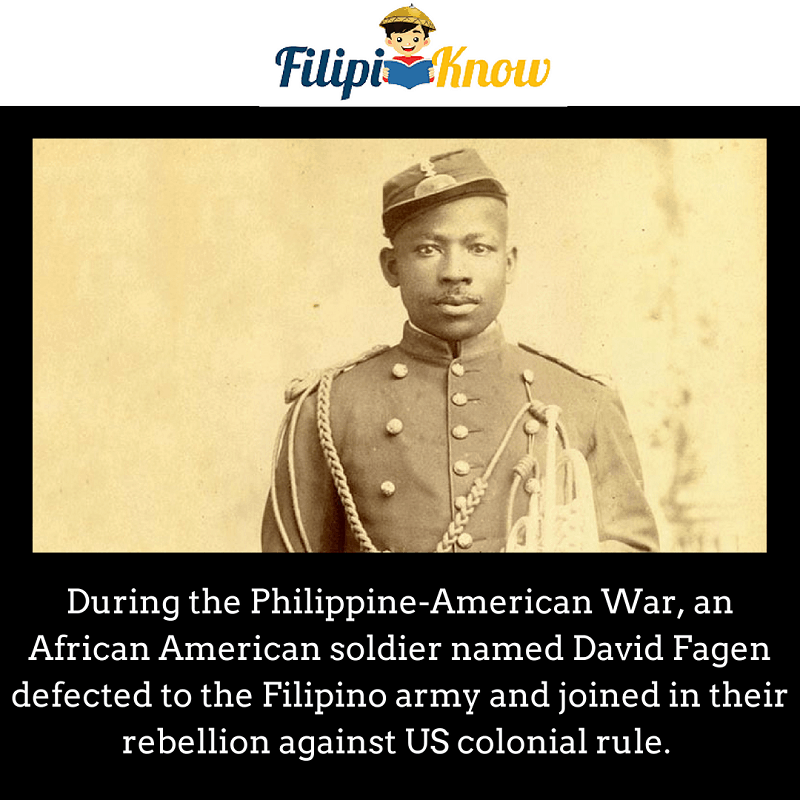 Corporal David Fagen was one of the 7,000 black soldiers sent to the country during the Philippine-American War of 1899-1902. He was supposed to fight against Filipino Insurrectos but conflicts between him and his superiors as well as the racism shown by Americans against Filipino soldiers pushed Fagen to finally abandon his group on November 17, 1899. Fagen proved to be useful for the Philippine army. 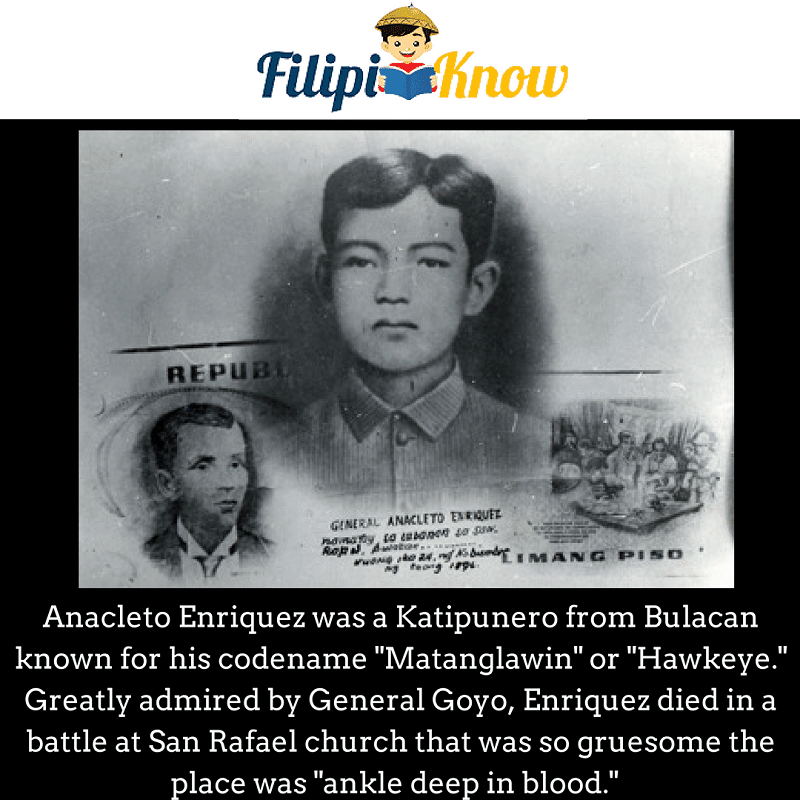 He was promoted to captain by General Jose Alejandrino and would clash with the American army for at least eight times. His most daring and commendable action was when he bravely led his 150 men to capture and seize a cargo of guns from an American steam launch on Rio de Grande de la Pampanga River. After General Alejandrino surrendered to the American army in 1901, Fagen escaped to the mountains of Nueva Ecija together with his Filipina wife and another Filipino soldier. A man named Anastacio Bartolome would later appear on December 5, 1901, with a sack containing a decomposed head allegedly of Fagen. However, this discovery has been heavily contested and there was no record proving Bartolome received his reward. On December 5, 1965, a month after the aircraft carrier USS Ticonderoga‘s departure from a U.S. naval base in Subic Bay, a Broken Arrow incident (i.e. an accident involving a nuclear weapon) occurred. The attack jet United States Navy Douglas A-4E Skyhawk, manned by American pilot Lieutenant Douglas M. Webster, accidentally fell off the carrier while being rolled from the level 2 hangar to the level 2 elevator. Unfortunately, the Skyhawk was carrying a nuclear weapon at that time, specifically the Mk. 43 free-fall bomb which contains at least a megaton’s worth of nuclear explosive. The accident happened just 80 miles from Okinawa. The pilot, as well as the aircraft and the nuclear bomb, were never recovered. It’s not until the 1980s that the Pentagon revealed the loss of such weapon. Jesus Quevenco, a native of Negros, first met Ferdinand Marcos when his friend, Silay Mayor Romulo Golez, accompanied him to the late dictator’s house in the 1960s. During that time, then-Senator Marcos just made his bid for the presidency. While he was waiting at the living room, Quevenco met NP delegates from Mindanao who would later shake his hands, thinking that he was the real Marcos. It was the start of Quevenco’s part-time job as a Marcos double. He would take the place of Ferdinand to meet with people, accompany the First Lady Imelda Marcos, and attend events in times when the late president was either too busy or tired. For his efforts, Quevenco was offered a position in the government which he then refused. But desperate to get him back as a Marcos double, Imelda Marcos offered a government position once again, this time to Quevenco’s wife, Thelma, who would become a GSIS employee and later, operations manager of the Ministry of Human Settlements in Western Visayas. Eventually, Marcos’ popularity decreased in the 1970s and poor Quevenco was chased twice by an angry mob who thought he was the dictator. Afraid of his life, Quevenco left Manila with his wife and promised to never go back again. The Marcos look-alike outlived the original by 25 years. 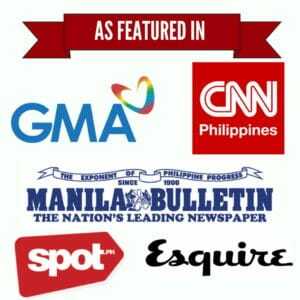 Quevenco died of pneumonia at a Bacolod City hospital at the age of 90. 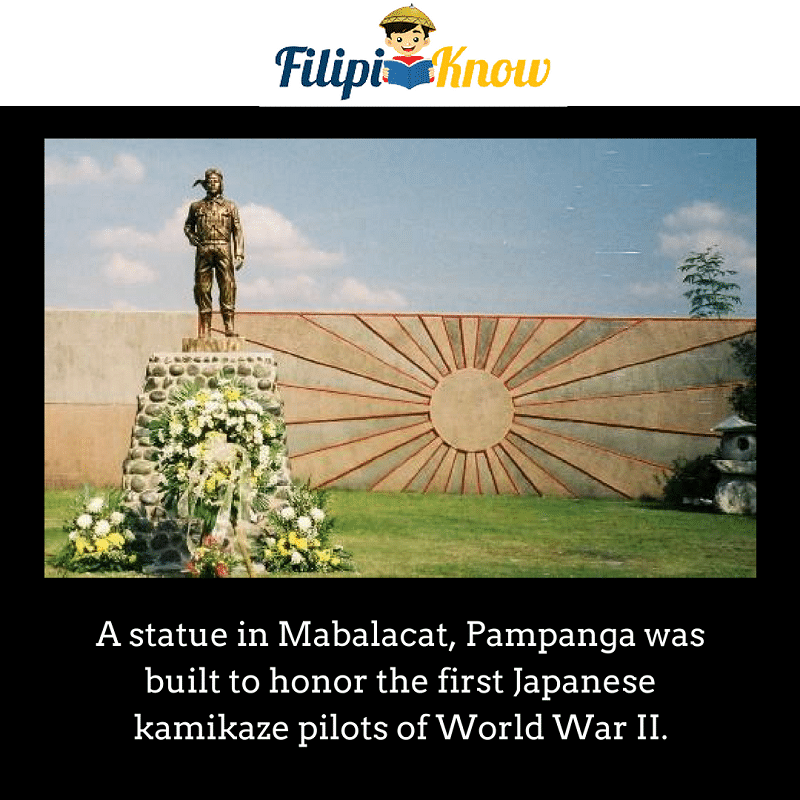 The life-size statue, cast and paid for in Japan, was erected at Mabalacat next to the former Clark Air Base. It shows Lt Yukio Seki, considered as the world’s first official human bomb who led the first kamikaze raid in October 1944. The fiberglass statue represents thousands of Japanese suicide pilots who damaged or sunk Allied ships from October 1944 to August 1945. Every October, hundreds of Japanese tourists, students, war veterans, and even Buddhist monks visit the place to offer prayers, flowers, and incense to all the suicide pilots who perished during the war. Although it faced a lot of protests from comfort women and other victims of Japanese brutalities, the life-size statue has helped boost Mabalacat’s tourism industry. Established on April 28, 1611 by Manila’s third Archbishop, Msgr. Miguel de Benavides, O.P., the University of Santo Tomas predates America’s Harvard University and even the calculus. 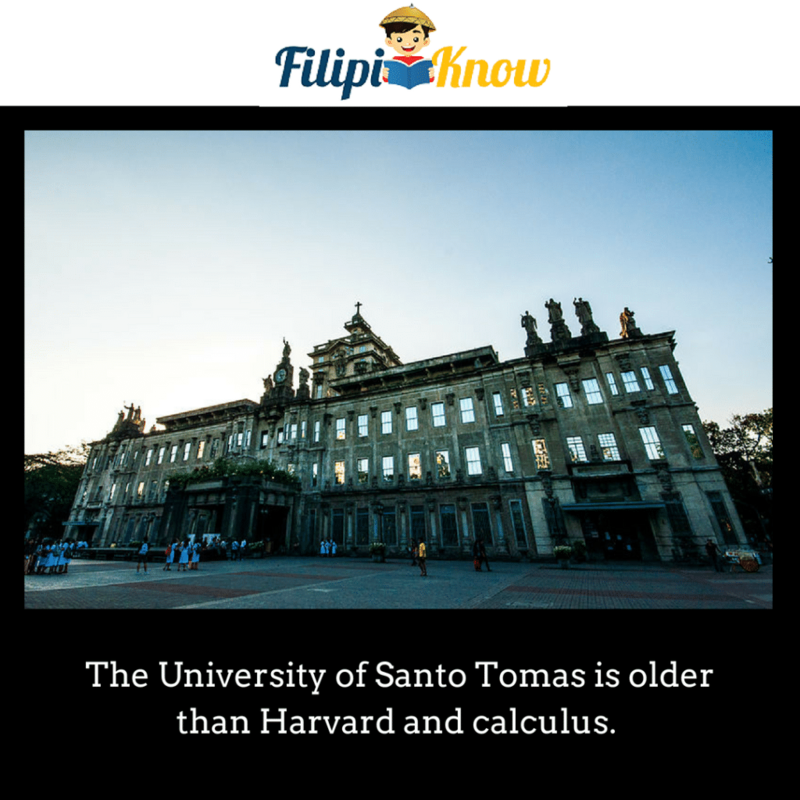 In fact, both Harvard and UST were not teaching calculus during their first few years because calculus at that time wasn’t invented yet. Calculus was first introduced in 1684 through Gottfried Leibniz’s “Nova Methodus” followed by Isaac Newton’s “Principia” in 1687. Harvard University, on the other hand, was established in 1636, exactly nine years before UST was elevated from college to the rank of a university by Pope Innocent X.
Dr. Pedro Gil y Hernandez (November 13, 1889 – January 5, 1965) was a physician, labor leader, a crusading newspaperman with a vitriolic pen, a social worker with a big heart, and later on, a diligent legislator. As a doctor, he established a clinic that became popular with the common folk in Paco and Ermita. When he became Minority Floor Leader in the House of Representatives, he distinguished himself as a righteous fighter for the abused. As an assemblyman, Gil worked tooth and nail for the reduction of public utility rates in Manila. He also pioneered and authored a bill for higher wages for laborers. Perhaps, his affinity for the poor and disadvantaged stemmed from his own humble beginnings. The Gils hailed from Capiz and Pedro Gil was orphaned early. To pay for his tuition, his sisters did sewing work while Gil did odd jobs and part-time work extending up to when he was studying medicine in UST. Despite his hardships, Pedro Gil was able to achieve so much, even being credited as being one of the architects of Philippine independence from the United States. Dr. Gil served as envoy to Argentina from 1959 to 1962 and was a recipient of the General San Martín medal, Argentina’s highest diplomatic award. Herran Street was named after him because he had his clinic there for most of his career. It had ties directly to him. According to its developer, the “Baybayin SMS” lets you send and receive SMS text messages in baybayin script through Android phones. The person receiving the text message must also install Baybayin SMS in order to see the baybayin charactersif they are an Android user. 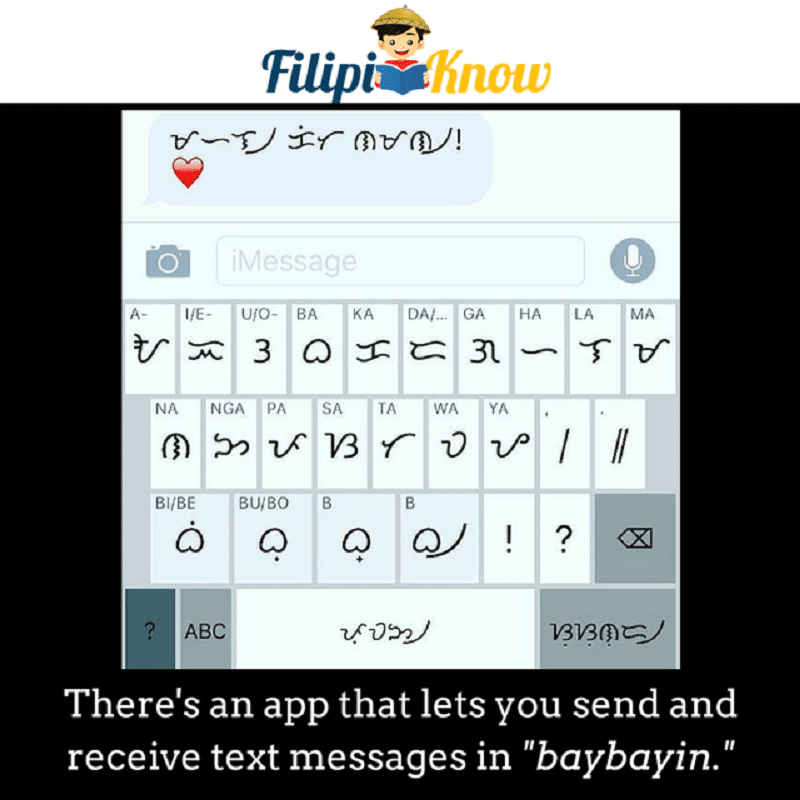 iPhone users with iOS 9.0 and above will be able to see baybayin without any special apps. Tell iPhone users to search for the “Baybayin Keyboard” in the app store if they want to be able to type in baybayin. In a Philippine Daily Inquirer article in 2007, indie filmmaker Kidlat Tahimik revealed he conducted a study of the sculpture in the 1990s for his consulting group, the Sunflower Collective. 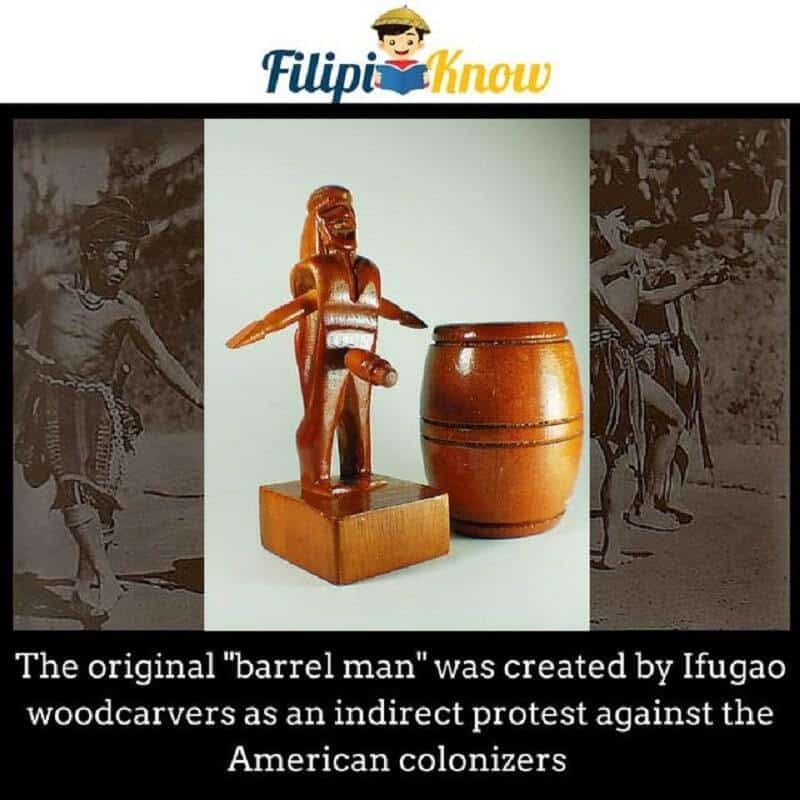 He discovered that the original barrel man was a protest statement of sorts. It was made to play a prank on Americans who made Baguio City their alternative government center and retreat beginning in the 1900s, and in so doing displaced the Ibalois who originally lived in the area. Born on March 8, 1946, Robert Jaworski was tagged “The Barreling Big J” because of his ability to penetrate the interior with ease and part the defense by “barreling” his way inside. The silhouette of Big J dribbling a ball has been part of the PBA logo, which originally featured two generic players in mid-air. Although its origin can be traced as far back as 500 B.C., the “yoyo” as a toy only achieved mainstream success in the US in the 1920s, all thanks to a Filipino immigrant named Pedro Flores, who introduced the toy among American kids while working as a bellboy in Los Angeles. When the Duncan Toys Company purchased the yoyo patent from Flores, several Filipinos were hired as sales representatives who were tasked to explain the history of the toy as well as perform tricks in front of prospective buyers in retail stores. One of them was Fred Urian (standing, left). Flores himself taught these Filipino men several tricks that could be done on a “yoyo,” which originally appeared as wooden toys before Duncan released the plastic version. Soon, the “yoyo” craze swept the whole country, with tournaments being held in several towns. Urian and other Filipino “yoyo” experts also traveled all around the country to demonstrate their skills, rubbing elbows with celebrities, including Hollywood’s most popular child star of the era, Shirley Temple. However, it should be noted that Magsaysay’s presidential candidacy had the full backing of the Americans. Contrary to popular belief, it’s NOT because old folks from the 19th century were hiding ugly teeth. Nor is it because they lacked a sense of humor. Initially, people took photos using an early photographic process called daguerreotype. It’s long exposure time (reaching up to 15 minutes or so) made it impossible for someone to even hold a smile. Although they’re a bit cheaper than paintings, photos were still a rarity during those days. Portrait photography was considered a formal occasion, an opportunity to capture the person’s “ideal,” and something that could only happen once in a lifetime. It was an event so serious that they didn’t want a smile to ruin it all. “After a number of successful encounters with the enemy, Anacleto and his Brigada Pilar met a bitter end at the Church of San Rafael, Bulacan on November 30, 1896. A crack battalion descended upon the group and the Katipuneros were trapped in the church. After a fierce hand to hand combat, more than 800 were killed bayoneted in the gut. According to reports, the fight was so gruesome that the blood was up to “bukong-bukong” or ankle deep. Because the fight occurred right after lunchtime, undigested rice mixed with blood blanketed the church floor.